Fashion evolves and grows as a whole but also on an individual level. Style takes years to develop and even when it has, there's still much more left to discover. 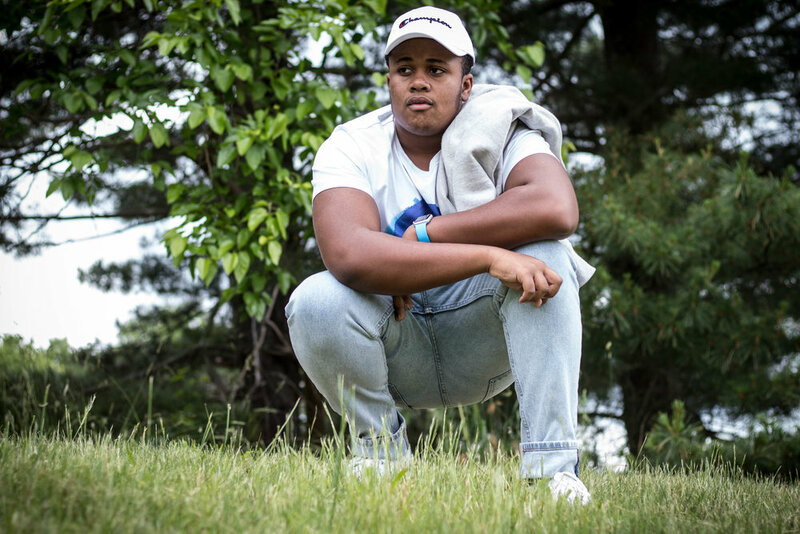 Today's June fashion featured individual is Malik, a young streetwear enthusiast. He wasn't always this way though, resenting fashion as a kid and wanting to just get dressed as quickly as possible in order to play. His parents had a feeling that eventually Malik would take an interest in apparel some day, but he didn't entirely believe them. Then, Malik hit his teenage years where changes to who he was changed his interest in fashion too. Malik began to ask his parents for new clothes and shoes especially Nike's and Jordan's proving their previous hunch about their son correct. It just goes to show that we never really know what the next couple of years have in store for us and that sometimes, our parents do know what they're talking about. Malik remembers the moment that really triggered his love for fashion: getting a big Ralph Lauren winter coat and a pair of Jordan Ones. These pieces really grew on him, and he went from buying basic apparel to more dynamic and unique clothing. These days, Malik likes to take style cues from the likes of famous rappers such as Metro Booming, Future, and ASAP Rocky. Although these performers wear clothes that cost upwards of one-thousand dollars, there are always similar and cheaper options to find in stores that still look great and different. The realm of hip hop has not only influenced a generation of music lovers but also a generation of streetwear. Through fashion, Malik has learned that if we dress well, it's equally as important to practice hygiene well. If we want to rock expensive and exclusive outfits, we must first make sure that we are groomed and tidy enough to wear them right. Some other tips that Malik has for us is that we should dress as we see fit, even if it's a little more simpler. Everyone's got a unique style and different reasons for having that style. Today, Malik's own wardrobe comes from the likes of stores such as Zara, Forever 21, Nike, and especially Pacsun which carries a lot of other brands that allow for the greatest fashion diversity. For a little bit of men's summer street style, Malik's strutting out in some light tones that highlight the palette of the early season. Starting at the bottom, he's wearing a pair of white floral sneakers (the designs are a bit hard to see) and a pair of light wash denim jeans. This is followed by a men's white and blue tee and a heather grey full zip hoodie which is good for the chillier days and nights of this June and July. Finally to top it off, Malik also has on a white champion hat to continue the colors throughout his look and to perfectly complete the outfit. An excellent composition of different and matching shades, Malik's apparel is dope for some summer fashion inspiration.